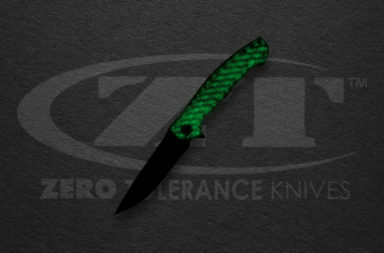 Zero Tolerance has announced the release date of their first Limited Edition knife of 2018. The ZT 0450FCZDP will be made available at smkw.com on May 25th at 9am (PDT). 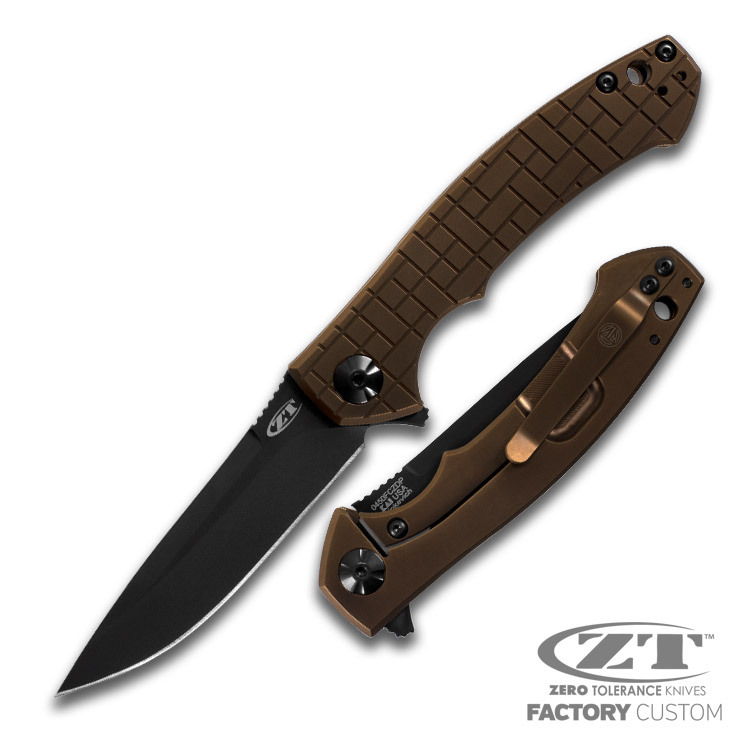 This factory custom knife is the work of ZT and renowned knife designer, Dmitry Sinkevich. 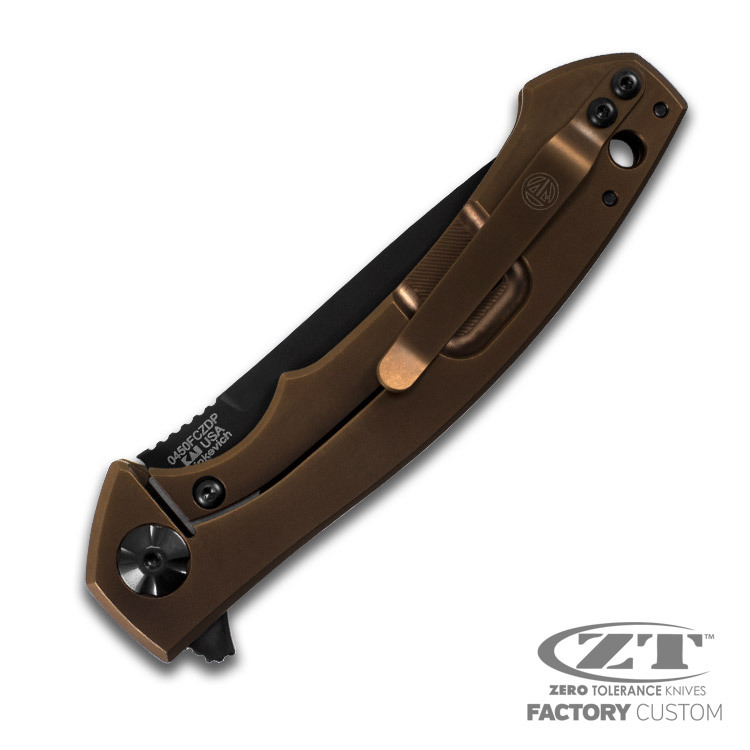 The ZT 0450FCZDP features a 3.25″ black DLC finished ZDP-189 drop point, as well as key pieces of hardware that were custom made or modified by Sinkevich, including the titanium pocket clip. The gorgeous titanium handles are Coyote Tan and PVD coated so they’ll be extremely durable, as well as unique. 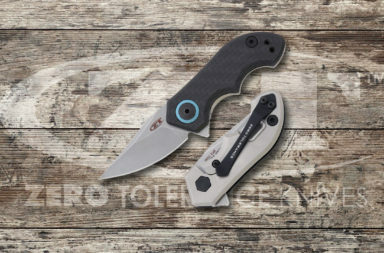 It also features a titanium frame lock with a hardened steel lockbar insert to make sure your blade remains secure, as well as smooth KVT ball-bearings for ZT’s consistently amazing opening mechanism. This is a true Factory Custom Limited Edition from legendary knifemaker Dmitry Sinkevich and Zero Tolerance. 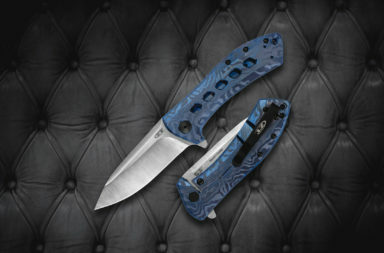 Only a few select dealers like Smoky Mountain Knife Works will be carrying this knife. We know the ZT 0450FCZDP will sell fast so make sure you sign up to be notified by email when the sale starts. 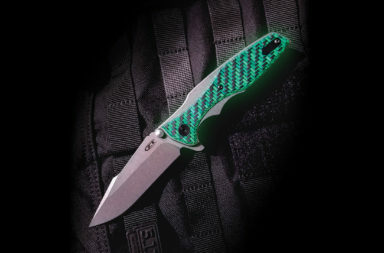 If you’re interested in this knife, click any link in the article, or simply click the button below.